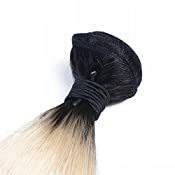 2.Hair Tape:Brazilian Hair, 100% Virgin Hair,Two Tone Dark Roots Ombre Hair. 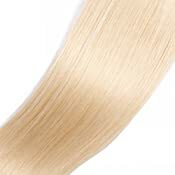 3.Hair Color:1B 613 Blonde Human Hair Extensions. 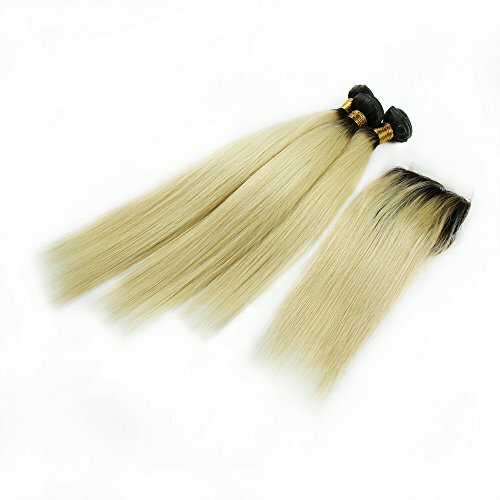 9.Quality:100 Real Brazilian Human Hair,Double Weft,Natural Hairline,Tangle Free,Very Soft,Very Smooth. 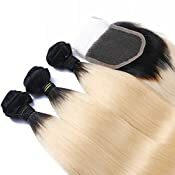 1.Raw Material:100% Brazilian Hair,Virgin Human Hair,The Vrigin Hair Comes From Young Girls,No Shedding,Tangle Free,Soft And Smooth. 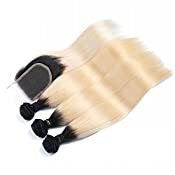 2.Hair Color:The Human Hair Is 1B 613 Blonde Ombre Hair Bundle,Dark Roots Two Tone Ombre Hair Bundle. 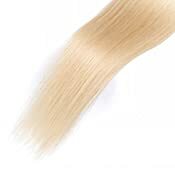 3.Hair Extension:Double Weft Ombre Hair Extension,3 Human Hair Bundles With Lace Closure Could Make A Wig. 4.Lace Closure:4*4 Inch Hand Made Swiss Lace Closure,Bleached Knots. 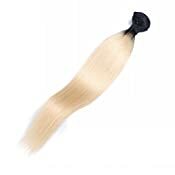 5.Weight&Density:The Brazilian Hair Extension Is 100g/Bundle,Human Hair Lace Closure Is 130% Density.The Wig You Make Will Full.